Fresh Green Peas are generally available during the winter months but these days you get frozen peas all through the year so you don't really have to wait for the fresh green peas. In my house, we like green peas very much and hence you will find elsewhere in this blog many recipes using green peas such as Paneer Peas Masala, Matar ka Shorba, and Peas Pulao. Today's recipe is an easy- peasy (pardon the pun!) 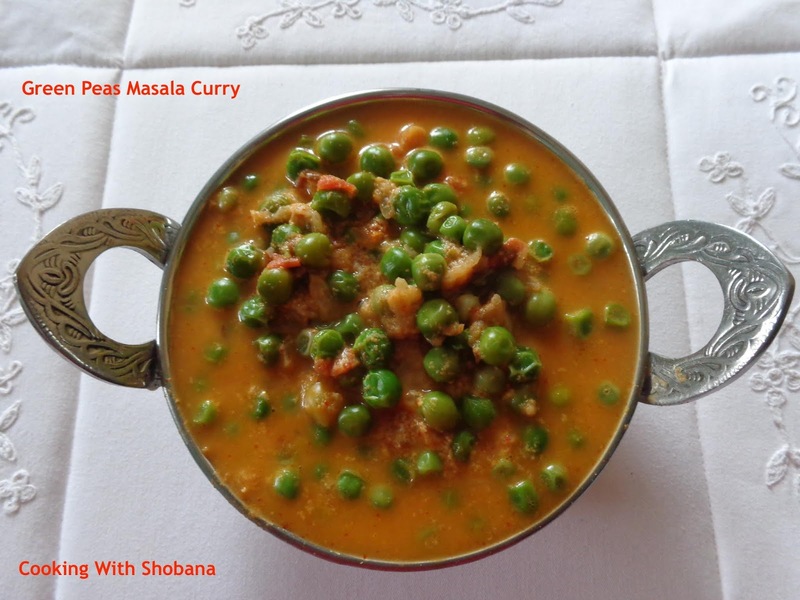 one for Green Peas Masala Curry which can be made very quickly, especially if you have frozen peas and/ or cooked peas readily available. It goes particularly well with rotis. This has been adapted from Green Peas Masala Curry by Tarlaji Dalal.